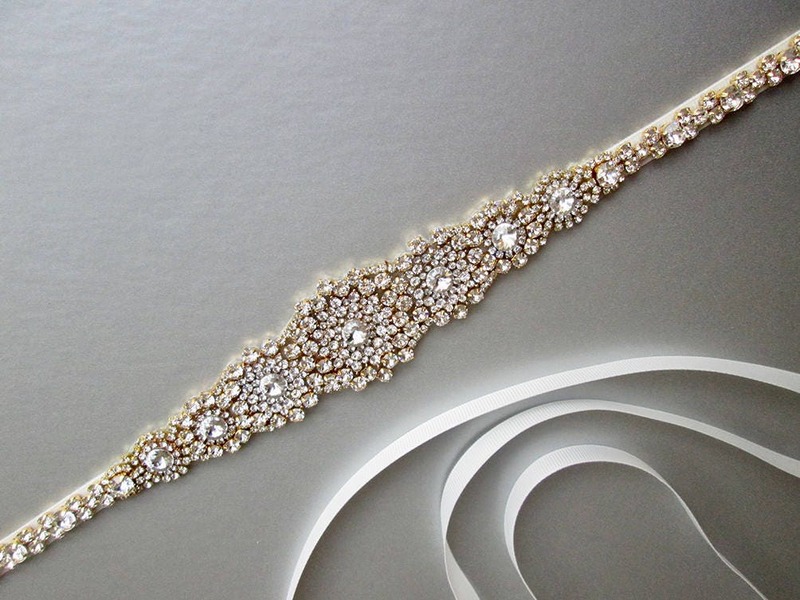 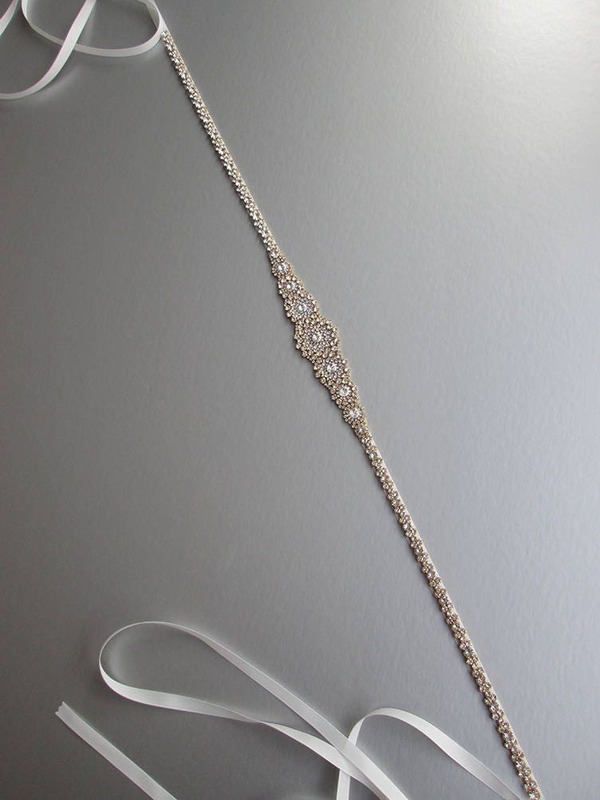 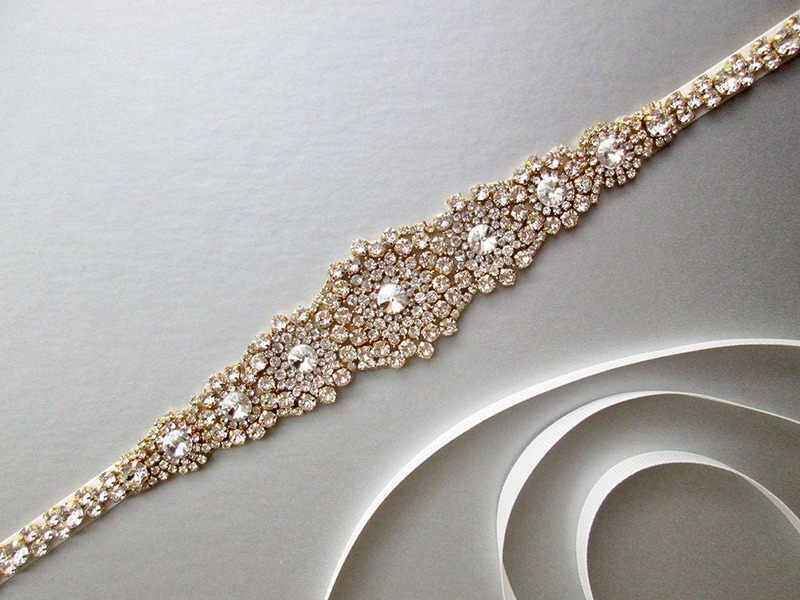 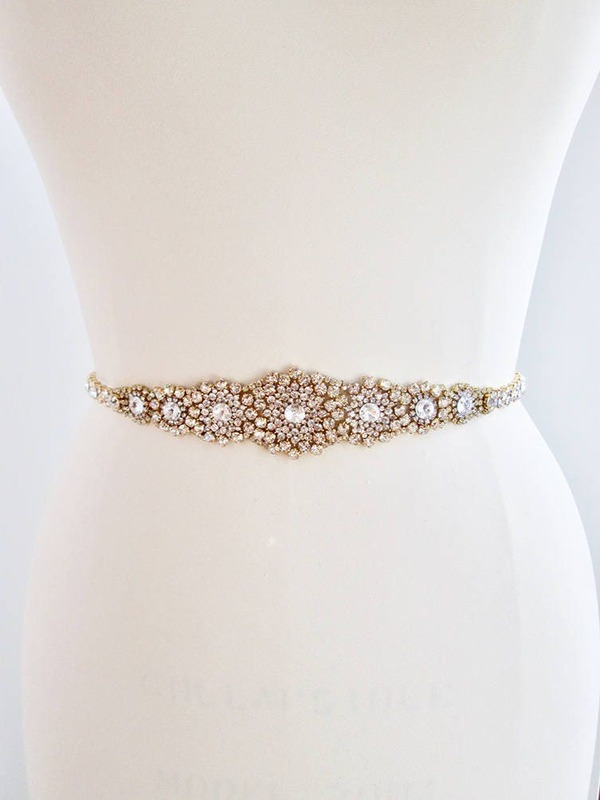 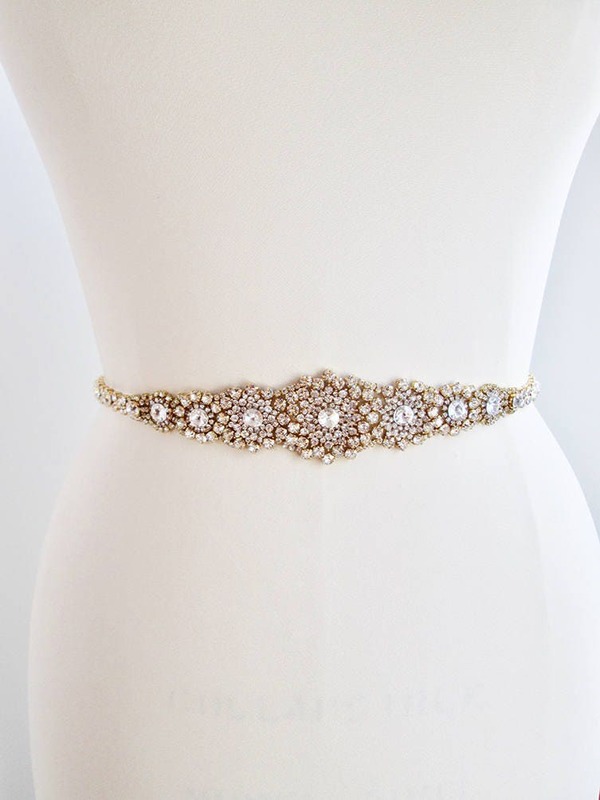 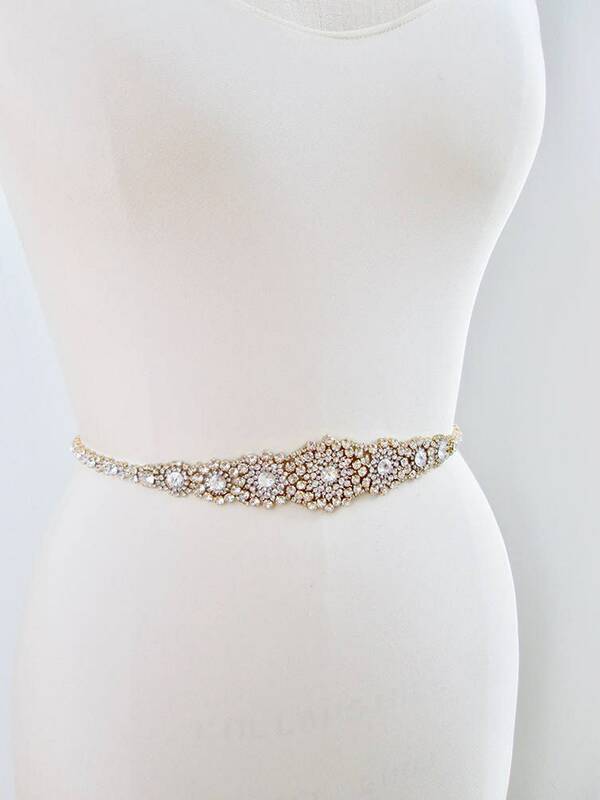 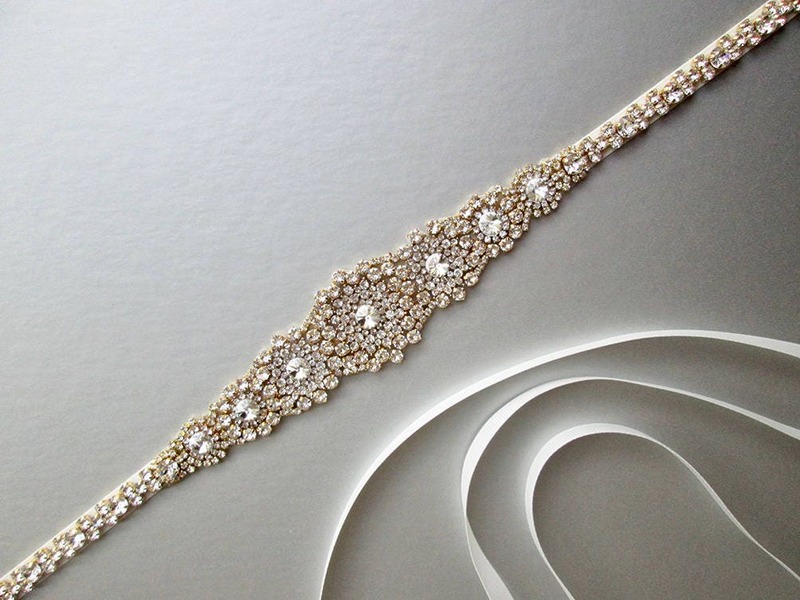 This slimming bridal belt design is made with fine Swarovski crystals set in gold settings. 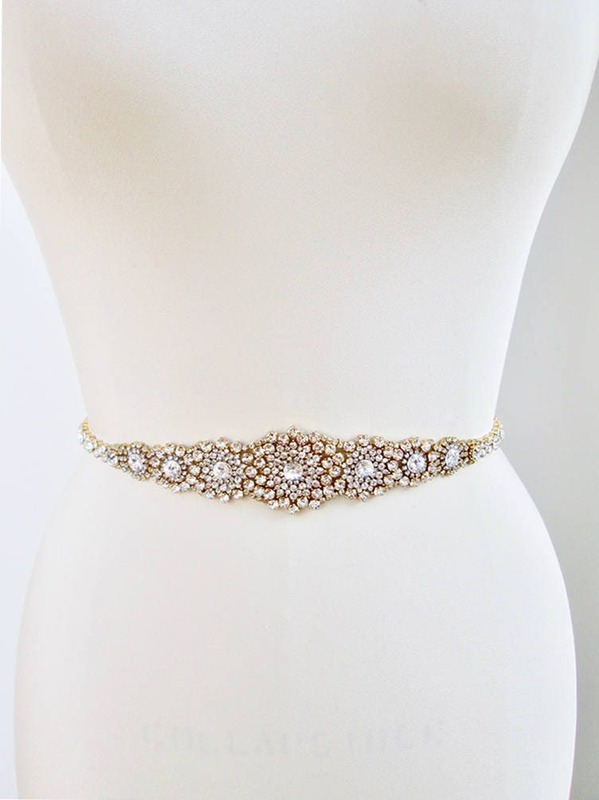 The grosgrain ribbon sash measures 3/8" wide and 150" long. 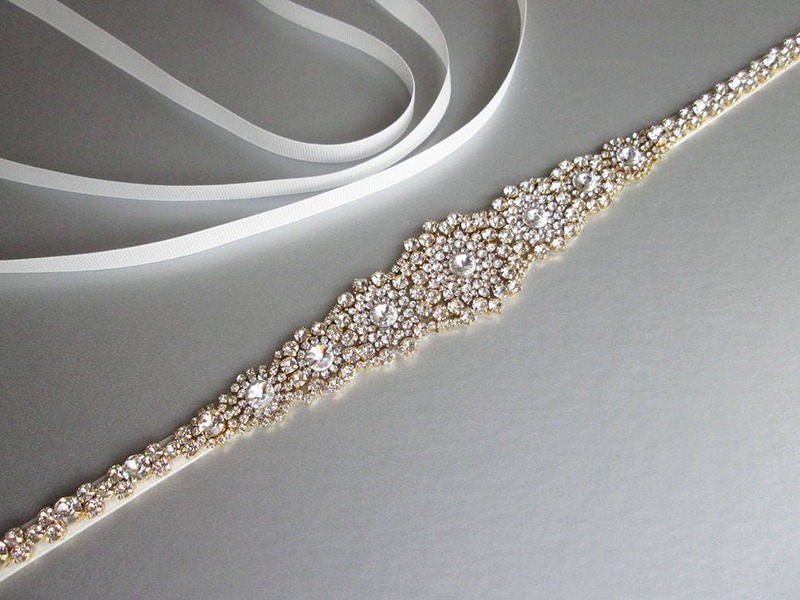 The crystal beading measures 24" long while the centerpiece measures 1 3/8" wide and 7 1/2" long. 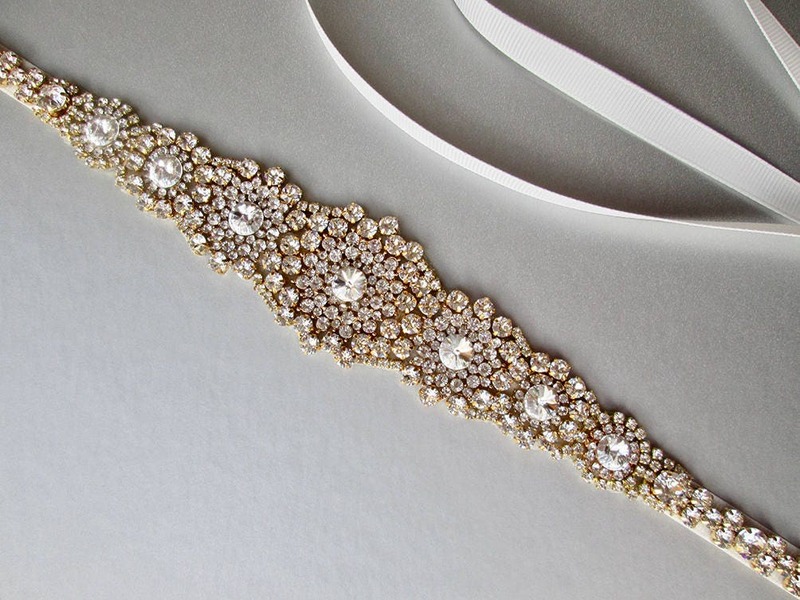 Available with grosgrain, satin or organza ribbon and in gold or silver finish.